Is it possible that one could derive worth/value for being the worst of the worst? Does being worse than anyone else set me apart as special in my mind? Does that make me and my situation unique? If I am the exception to every rule then does that make me exceptional? There are many things I would like to say about our brokenness. But where to begin? Perhaps the simplest beginning would be to say that our brokenness reveals something about who we are. Our sufferings and pains are not simply bothersome interruptions of our lives; rather, they touch us in our uniqueness and our most intimate individuality. The way I am broken tells you something unique about me if you pay attention. The way you are broken tells me something unique about you if I pay attention. This is precisely why we should feel very privileged when we share freely some of our deep pain with each other, and that is why it is an expression of my trust in you when I disclose to you something of my vulnerable side. Our brokenness is always lived and experienced as highly personal, intimate and unique. *I am deeply convinced that each human being suffers in a way no other human being suffers. No doubt, we can make comparisons; we can talk about more or less suffering, but, in the final analysis, your pain and my pain are so deeply personal that comparing them can bring scarcely any consolation or comfort. In fact, I am more grateful for a person who can acknowledge that I am very alone in my pain than for someone who tries to tell me that there are many others who have a similar or worse pain. Our brokenness is truly ours, nobody else’s. Our brokenness is as unique as our fingerprint or heartbeat. So many suffer from physical or mental disabilities, and there are great amounts of economic poverty, homelessness, and a lack of basic needs, the suffering I am most accustomed to and most aware of is the suffering of the broken heart. *On a daily basis I am reminded of the great hurt and suffering cause by broken relationships. I see the immense pain of severed relationships between lovers, friends, colleagues, father and son, mother and daughter, and yes, even God. The feelings that are so prevalent are feelings of rejection, of being ignored, of not belonging, and of being left alone to fend for one’s self. In my own tribe, with many in the grips of addiction, the greatest source of suffering is not the addiction itself, but the accompanying feelings of being useless, worthless, unappreciated, and unloved. We humans can endure great deprivations with tremendous steadfastness, but when we sense we no longer have anything to contribute; we quickly lose our grip on life. …so, if you are interested in starting on the journey of life, we have much to learn from each other, we have much more to say to each other, because the journey of life calls not only for determination and perseverance, but also for a certain knowledge of the terrain to be crossed. I don’t want us to wander in the desert as many before us have. I don’t want you to dwell there for even as long as I have. Although it remains true that everyone has to learn for him or herself, I still believe that we can prevent those we love from making the same mistakes we did. In the terrain of life, we need guides. I would like to be that for you. I would like you to be that for me. 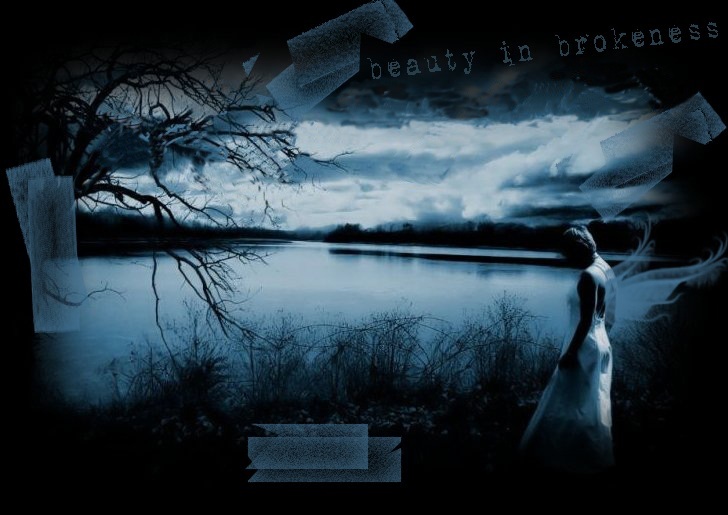 If we listen to each others brokenness we can learn from each other and lead each other into our preferred future and maybe, just maybe, we can find beauty in our brokenness.